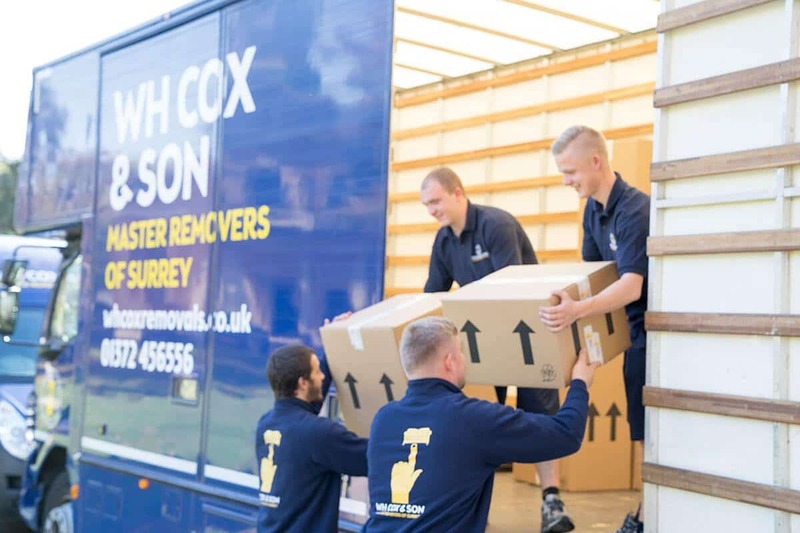 WH Cox & Son is Surrey’s number one removals and storage provider, and we serve the whole of Surrey and the surrounding areas. Everything we do supports our dedication to customer service and our ethos of putting the customer first. You can see what our previous customers think of our service by our five-star rating. Our number one focus is delivery the best removals service possible. We’re fortunate to have resources like the internet and Google to assist us when we’re looking for reliable companies. The only thing we suggest you should avoid is price comparison website because they don’t account for the quality of service for each company. And many of our customers have given us less than favourable feedback on their experiences with these sites. Rating platforms like Google Live and Trustpilot provide online users with information from previous customers. You can see their rating and comments to weigh up if a company is genuine and reliable. e.g., a company is given an overall score (based on an average of all ratings), and each individual rating can be seen. It’s also possible to read any comments made by previous customers. If you’re moving for the first time, it might not be obvious what type of removals service you need to book. Luckily, that’s part of our team’s job description. We assess your needs based on the total volume of possessions you’re relocating with. Additionally, we will also take the size of your individual items of furniture and appliances. From there, we will assign the correct vehicle and estimate the best and most efficient route to your new location. We’ll discuss the ideal day of the week to move, which is usually earlier in the week. It can also be beneficial to do this for final payments and other transactions. This will give you more time to act on any small issues. At WH Cox & Son, everything we do is to make your move affordable and efficient. It’s our mission to match your requirements with the correct removals service. WH Cox has removals and storage packages to suit everyone’s needs, and we make sure they’re the most affordable rates on the market. We believe that removals and storage should be available to all, which is why we keep our prices as low as possible. We have a lot of loyal customers who use us for future relocations and other services, like storage. We gain hundreds of new clients every month, many of them find us through referrals from current customers. Even if you’re just looking for a quote, contact the WH Cox team as soon as possible. We’re residents of Surrey, and we love living here. WH Cox covers the whole of Surrey and the neighbouring counties. Furthermore, if you have an area in mind that you are considering, we will gladly provide you with any information we can about it. The WH Cox team will go the extra mile for our customers. If you want to book with a five-star removals company for your next relocation, contact us today.